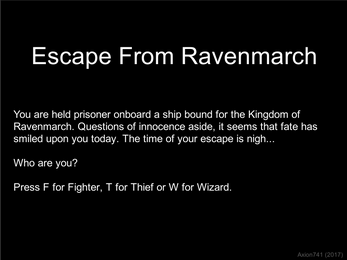 Escape from Ravenmarch is a super-simple text adventure game, originally put together as a practice exercise. It doesn't even need a mouse! 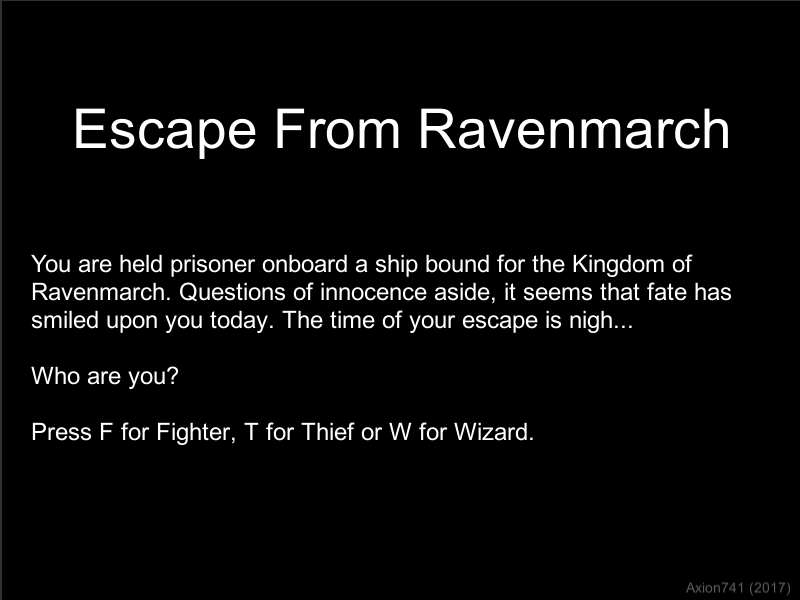 The story is based on the opening to a long-form DnD game I ran a few years ago, and I think translated really well into it's new form. I hope you enjoy, and feel free to leave feedback, I'd love to hear your opinion.